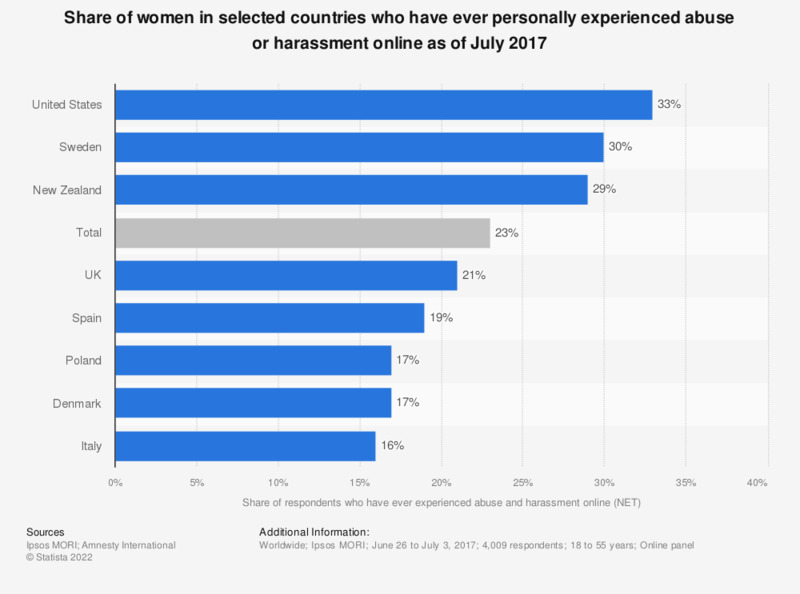 This statistic presents the share of women in selected countries who have ever personally experienced abuse or harassment online as of July 2017. During the survey period, 23 percent of total survey respondents stated that they had ever experienced cyber abuse and digital harassment. Italy had the lowest self-reported victimization rate at 16 percent. The United States had the highest victimization rate at 33 percent. QA1. Have you ever personally experienced abuse or harassment online?